Camera Grand Prix is held by Camera Journal Press Club (CJPC, Japan), a group of representatives from magazines or websites specializing in photos and cameras. CJPC, established in September 1963, has 10 members from the media as of April 2017. The selection committee, organized under the auspices of CJPC’s Camera Grand Prix Executive Committee, deliberates and selects the best products to give the four awards from among those introduced into the market during the previous fiscal year (from April 1 to March 31). Camera Grand Prix “Camera of the Year” is granted to a still camera recognized as the best of all released during the period. “Lens of the Year” is awarded to the best lens launched in the Japanese market, while “Readers Award” is determined by general camera users’ vote on a dedicated website. (The voting period in 2017 was from March 18 to April 9.) In addition, CJPC members give “Editors Award” to a camera or another form of photography-related product, excluding the one awarded “Camera of the Year”, in consideration for the product’s popularity, topicality, and innovativeness. 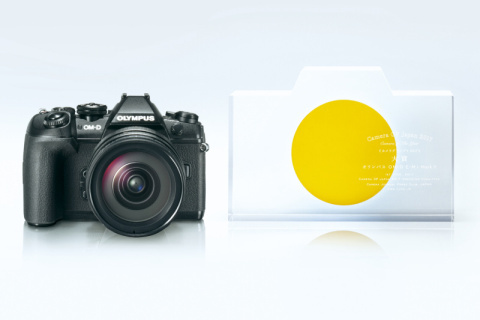 The Readers Award went to the OM-D E-M1 Mark II (production company : Olympus Corporation.). The award was stablished in 2008, in celebration of the 25th anniversary of the Camera Grand Prix. The winner is selected by general readers' votes. As the result of a conference of C.J.P.C. members, the D500 (production company : Nikon Corporation,) and the GFX 50S(production company : Fujifilm Corporation.) were selected for Editors Award. The Camera GP emblem is trademark (registration pending) of the C.J.P.C (Camera Journalist Press Club of Japan). The use of the emblem is not permitted except for the purpose of creating news articles on the Camera Grand Prix. In that case, however, any alteration or partial use of the mark is not allowed. Color:Use it by the color basically. Size:Use it by 8mm or more in width. Others:The ratio in length and breadth cannot be changed/A part alone cannot be used/The color cannot be changed/Other elements cannot be added. As three years passed since OLYMPUS OM-D E-M1, a Camera Grand Prix 2014 Editors Award winner, was first launched in 2013, this new flagship model OM-D E-M1 Mark II has marked another development and further expanded the concept of the mirrorless camera. It shows us an exciting future vision. Its sequential shooting performance exceeds that of single-lens reflex cameras, with the maximum fps at 18 in continuous AF/AE tracking and even 60 fps in single AF/AE on the silent sequential shooting mode. Its autofocus performance is such that you can readily capture even fast-moving subjects. It is amazing that its 5-axis in-body image stabilization system provides up to 6.5 shutter speed steps when paired with a compatible lens. The image quality and credibility are great enough for professionals and amateurs alike, with its good portability allowing them to use it quite casually. As the dust-proof and splash-proof body gives a comfortable grip, you can use it for a wide variety of photo opportunities. In recognition of these features, we have selected OLYMPUS OM-D E-M1 Mark II for Camera Grand Prix 2017 Camera of the Year. Although classified as a high magnification zoom lens, its performance goes beyond what is expected for the class. 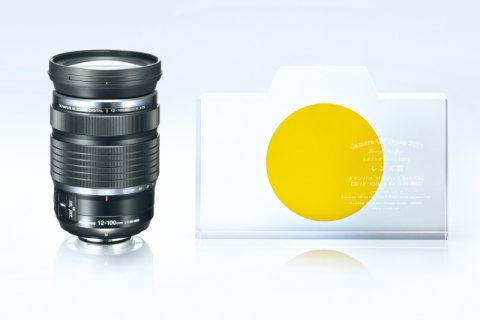 It provides not only standard but also telephoto zooming, with its constant f4.0 aperture. This is quite an all-rounder you can rely on for every type of subjects and locations. It boasts superior resolution in all the zoom range with suppressed aberration. The image quality is so excellent that you might doubt it is really a zoom lens. When combined with OM-D E-M1 Mark II, the image stabilization goes up to surprising 6.5 shutter speed steps of compensation (based on CIPA standards), which enables your handheld shooting for 1 second or longer. You might say you don’t need a tripod anymore. In recognition of these features, we have selected OLYMPUS M. ZUIKO DIGITAL ED 12-100mm F4.0 IS PRO for Camera Grand Prix 2017 Lens of the Year. Readers Award was established in 2008 to commemorate the 25th anniversary of Camera Grand Prix. The award is determined by general users’ voting on a dedicated website. The voting period this time was from March 18 to April 9, 2017. This year OLYMPUS OM-D E-M1 Mark II won the most votes. Here are some of the voters’ comments. Nikon’s long-awaited flagship in its APS-C digital single-lens reflex category. 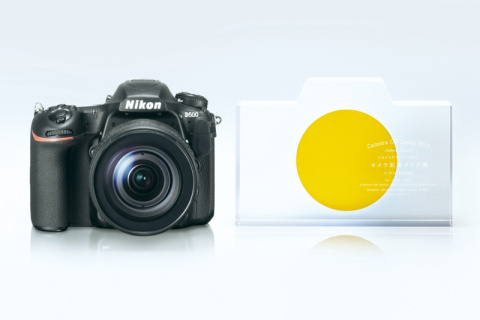 Adopting the same autofocus sensor module as that on “D5”, Nikon’s 35mm-full-frame DSLR flagship, D500 is moderately priced, readily available for non-professional users. The cost performance without compromising its basic features was the crucial point we highly evaluated. With the rugged body, the quality viewfinder, and the powerful continuous shooting capability, it deserves to be called high-end. D500 surely played a role in enhancing the appeal of APS-C cameras in general. Its AF that covers a wide portion of the image area as well as the high accuracy for acquiring moving subjects are also marvellous. This model has demonstrated once again the attractiveness of SLR cameras to us, in the time when mirrorless cameras often draw more attention for their remarkable evolution. The success of this model has contributed to a wider recognition of medium-format mirrorless cameras as a new genre. Although its image sensor is approximately 1.66 times as large as 35mm-format, the body is compact and lightweight, taking full advantage of the mirrorless structure. 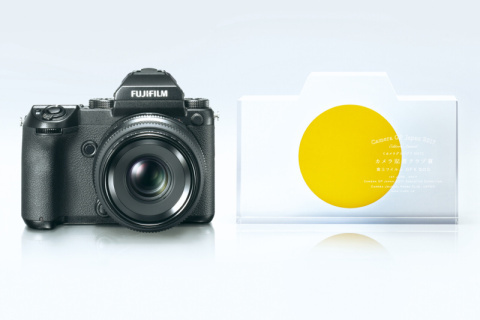 You can call this product the fruit of Fujifilm’s tradition and its latest technology, since the “medium-format” is closely associated with the manufacturer’s history, which has long been producing medium-format film cameras. We highly appreciated not only the outstanding resolution but also the high degree of perfection, achieved through the company’s long-year experience and credit in developing its X-series APS-C mirrorless cameras. This is notable in that GFX 50S is the first unit on the new product line.